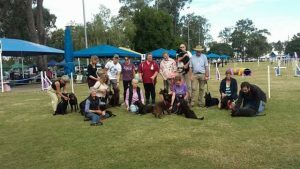 What a weekend – In Brisbane – Scoop got her SPDM (Strategic pairs dog masters) title, Loco got her SPD (Strategic pairs dog novice) title, Rita got her Ch (Australian Championship) title, and both Tyler and Vixen got their RN (Rally Novice) titles. Everyone has been working hard! 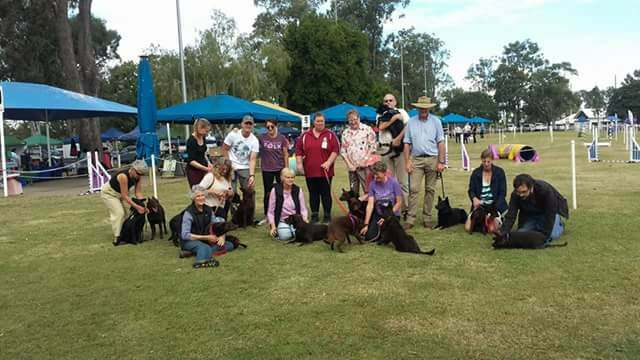 And we had a Callicoma Get Together at the Cattle Dog and Kelpie Club of Qld show – 25 Callicomas there! In Victoria – Siren won Best of Breed at the Working Dog Club show, and in New Zealand – Mandy won 2 x Runner up to Best in Group awards!